Harry Kane's hat-trick sent Tottenham through to the FA Cup quarter-finals in a comfortable 3-0 win at Fulham. There had been doubts over Kane's fitness after he sustained a knock in the midweek defeat by Gent, but the England international started and gave Tottenham the lead early on, finishing from close range after Christian Eriksen's fine centre. The duo combined again just five minutes into the second half as Kane converted the Dane's cross from six yards for his 18th goal of the season. Spurs were dominant throughout at Craven Cottage against the EFL Championship side, and Kane got his 19th and secured the match ball with 17 minutes remaining, finishing from inside the area from Dele Alli's through ball. The win means Spurs have reached the FA Cup last eight for the first time in four seasons, and will find out who they face in the draw at 6.30pm on Sunday, which you can follow here. Spurs made just four changes from the side that lost 2-0 at Liverpool last weekend, fielding a strong team in comparison to their Premier League counterparts Manchester City (eight changes) and Burnley (six) as they stumbled on Saturday. The first chance of the game fell to the visitors when Alli's header fell into the path of Eriksen, who forced Marcus Bettinelli into a fine low save under pressure from Fulham centre-backs Tim Ream and Tomas Kalas. Alli then hit a shot half-a-yard wide from 20 yards after finding space, before Spurs took the lead on 16 minutes. 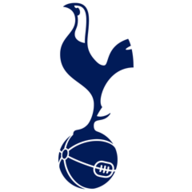 Racing onto Kieran Trippier's quick throw-in down the right channel, Eriksen's first-time cross found Kane on the gallop eight yards out, and the England striker slid in with his left foot to finish past Bettinelli. 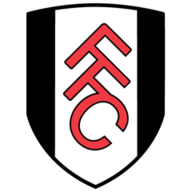 Stand-in goalkeeper Michel Vorm nearly handed Fulham an equaliser when his stray clearance fell straight into the path of Tom Cairney, but his effort was gratefully gathered by the Dutch 'keeper as he scampered back to goal. Cairney then returned the favour to Kane at the other end, but Eriksen blazed over the bar from an angle as Spurs looked to pounce on the Fulham skipper's error. Spurs found it easy at both ends in the first 45 minutes, but Fulham's dangerously high line was punished on only one occasion. However, the visitors picked up where they left off in the second half, and gained that all-important two-goal cushion on 51 minutes through Kane again, poking past Bettinelli from six yards after Eriksen curled in a beauty from the right. Fulham's appeals for offside fell on deaf ears, but replays showed Kane's head and shoulder were in fact goal-side of the last defender. It was nearly 3-0 moments later, but Alli prodded over the bar at the far post after Eriksen's deft ball. Kane should have had his and Tottenham's third with 20 minutes remaining as the striker poked the ball inches over Bettinelli's bar after Alli had helped the ball behind the Fulham back line, but he did duly get his hat-trick three minutes later. Latching onto Alli's through ball with Fulham's defence stretched, Kane slotted low past Bettinelli for his second hat-trick in 2017, and his fifth overall in a Tottenham shirt. That's how it stayed, as Mauricio Pochettino's side continue to fight on three fronts heading into the final few months of the campaign.